In the dunes between the HQ and the airfield one can still find a Kompanie Gefechtsstand. 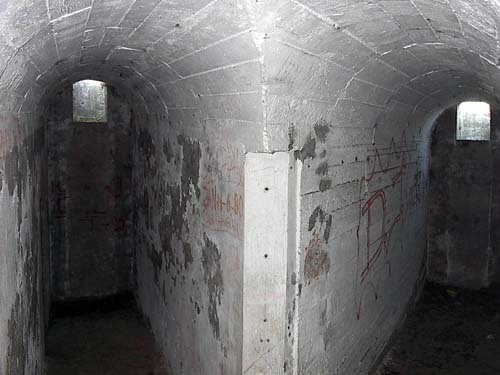 The tunnelsystem consisted of 3 meter high and 1 meter wide concrete lined tunnels with several crew shelters and attached Tobruks. A junction in the tunnelsystem.